Hearty creamy bowl of comfort! 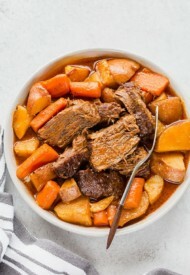 Slow cooker + simple ingredients = effortless dinner with minimal hands-on time! So were you affected by the snow storm this past weekend? I was kind of jealous seeing all the snow on TV and social media, cuz we were having unusually nice weather with sunshine and melting snow. It’s pretty darn weird for North Dakota, you know. I could use an excuse to make a hearty soup. Actually, scratch that. 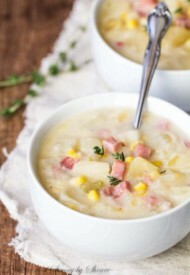 I don’t need an excuse to make a hearty soup, especially when it comes to this creamy, rich ham, corn and potato soup! 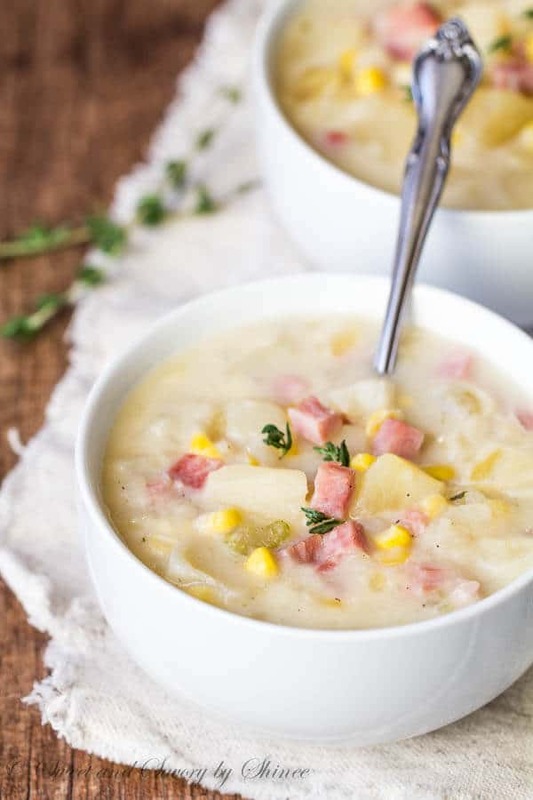 It’s like ham and potato soup meets corn chowder! So GOOD!!! 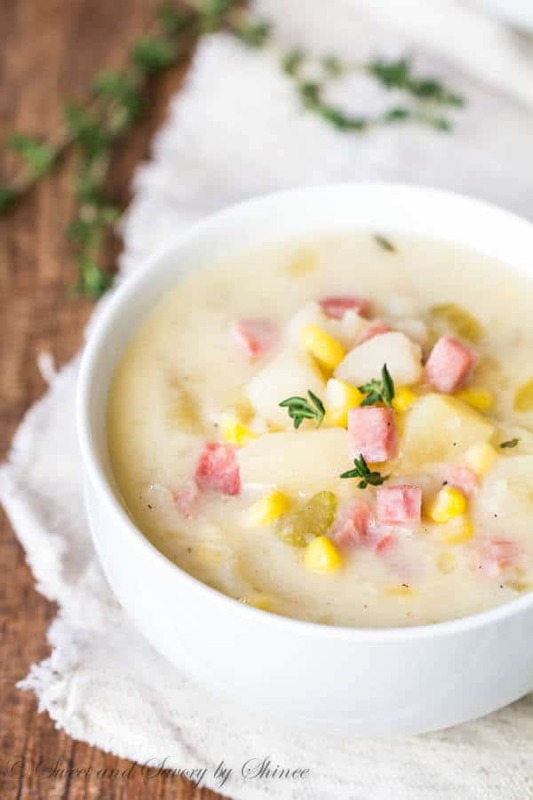 With so little hands-on time to dice up the veggies and ham, this soup couldn’t be easier! 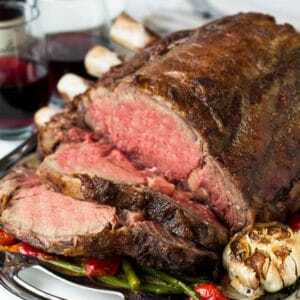 Just throw all the ingredients into the slow cooker and forget about it till dinner time! 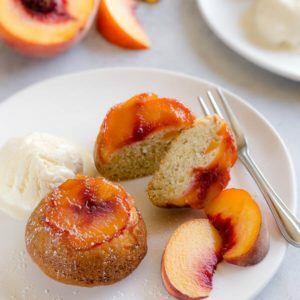 Simple ingredients, minimal effort, big flavors! See, it’s a total WIN-WIN all around! 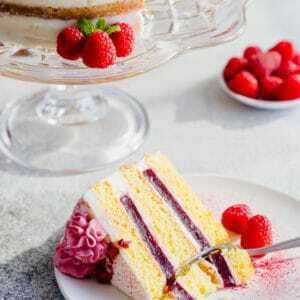 So rich and creamy with only 1/2 cup of heavy cream! You guys, I want this soup all day every day all winter long! Ok, maybe with some knoephla soup in between. By the way, how do you like my winter soup recipes? I hope you’re enjoying them as much as I do. Now tell me what’s your favorite winter comfort food? Dice the potatoes, ham and celery. 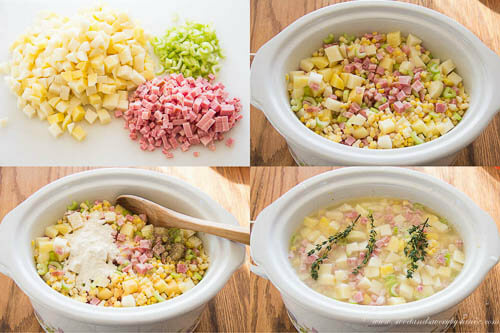 Place the diced potatoes, ham, celery and sweet corn in a slow cooker. Stir in flour, salt, garlic powder and black pepper. Pour the chicken stock and add thyme. Cook for 4-5 hours on high, or 8-9 hours on low. Using a potato masher, mash some of the potatoes to thicken the soup. Stir in the cream and adjust salt and pepper to your taste. 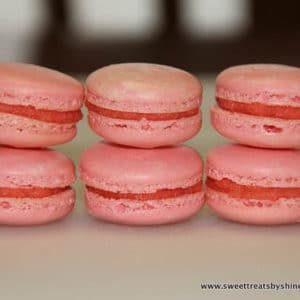 I wanted this recipe for the longest time. Can not wait to make and taste. Thank you so much. Hi Shinee! 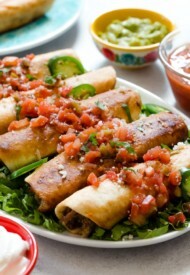 I love this recipe and featured it this week at the OMHGWW Linky! Please come by again and link up!! 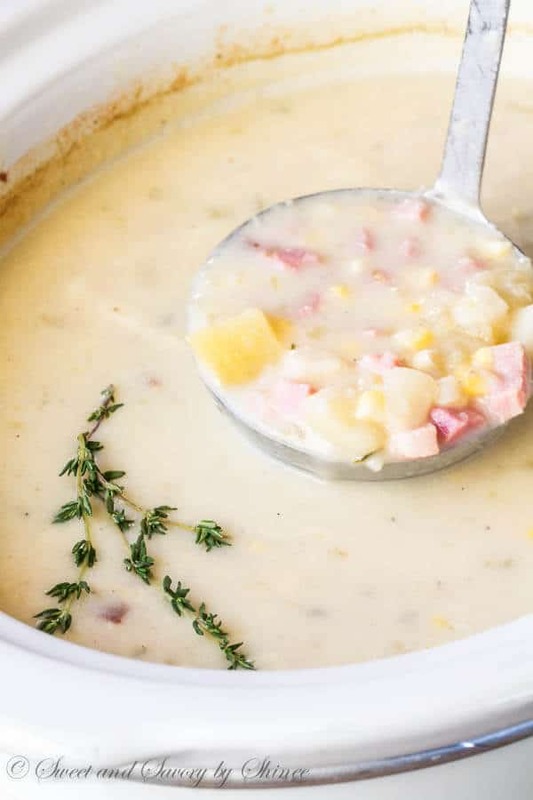 Thank you for sharing this great ham and corn soup recipe!! Awesome. 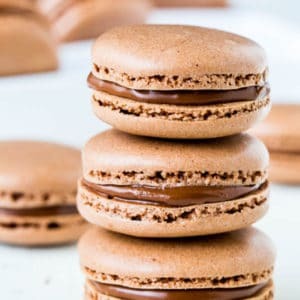 Thank you featuring my recipe, Ashleigh! What a yummy bowl of soup! Thanks for sharing with us at #FoodieFriDIY – come join us again this week! Chicken sausage sounds just as great! Thank, Indah! I pinned this one so I won’t forget it when our winter rolls around. 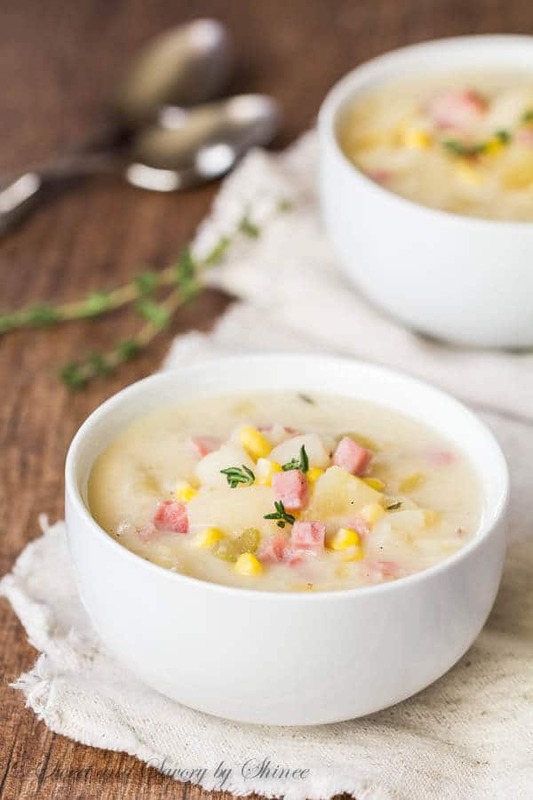 I love any soups with corn and potato. This sounds great, and looks even better. Thanks. 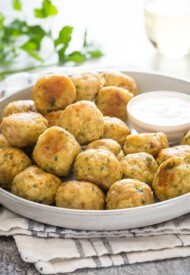 This is going on my MUST TRY list…perfect comfort food! 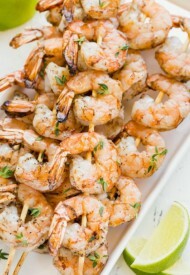 Easy and big flavor – totally my style! This soup looks so amazing – and so warm and comforting! Indeed it is. Thanks, Kathryn! Sounds fantastic, Sam. Hope you enjoy it! Thanks! I make something similar but I never add corn and it is not in the crockpot. I love corn — and easy dinners — so will be trying it this way soon! This soup looks so comforting and delicious!